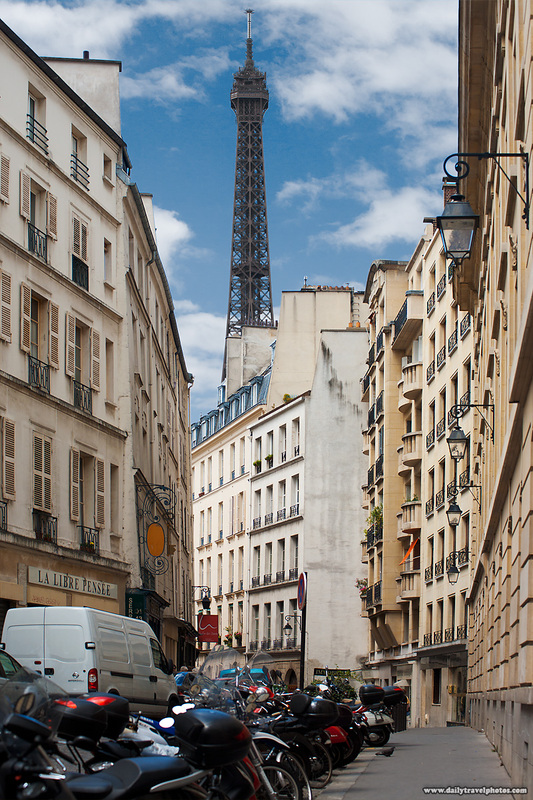 The Eiffel Tower sprouts over residential buildings in Paris. This is a common scene if you wander to any of the neighborhoods in the vicinity of the Eiffel Tower. The tower is prominently visible from many parts of the city! Just another reason that makes Paris unforgettable.